Personalized Letter From Santa - Have a Personalized Santa Letter sent to your kids this Christmas. 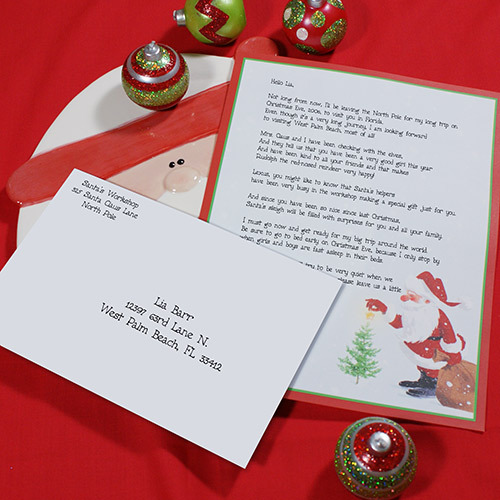 Your kids will love receiving their own Personalized Letter from Santa. Bring the spirit of Christmas and the wonder of Santa Claus to your home this Christmas season with a Personalized Santa Letter for your daughter, son, granddaughter, grandson, niece or nephew. 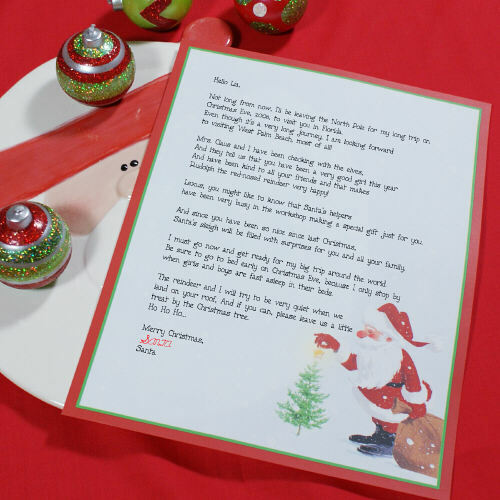 Your Personalized Santa Letter is printed on charming Santa paper. We personalize your child's letter from Santa with their name, city and the state where they will be celebrating Christmas this year. Santa's Letter along with matching Santa envelope is addressed and mailed to your child. Letter from Santa includes FREE personalization! Personalized Santa Letter is sent to Any Name, City and State! Letter from Santa Claus is postmarked from the North Pole. All Personalized Santa Letters will begin mailing the beginning of December and will have a postmark from Illinois. GiftsForYouNow.com offers many unique Personalized Christmas Gifts for your family, friends & business associates. Some of our most popular Christmas Gifts are our Unique Christmas Gifts, Personalized Christmas Ornaments & of course our Personalized Christmas Frames, Mugs & More.